For the seventh consecutive year, Tableau has been positioned as a Leader in the Gartner Magic Quadrant for Analytics and Business Intelligence Platforms. This exciting news arrived the same week as the new Tableau 2019.1 with Ask Data, our natural language capability, and other great features that lower the barrier to entry to powerful analytics—find out more. Tableau's mission has been the same since the beginning: to help people see and understand data. With relentless customer focus and products designed to put people first, Tableau has scaled to meet the growing needs of the data-driven enterprise while innovating to solve real business challenges. Tableau has maintained a leadership position during a time of incredible growth, market evolution, and increased customer expectations. So what does it mean to be a Leader? Tableau has been disrupting the BI industry with customer-focused innovation since its founding in 2003. With unrivaled research and development and a deep connection to its community and customers, Tableau continues to release innovative analytics features that are recognized for ease of use and impact to real-world customer needs. Tableau builds visual best practices, artificial intelligence, and machine learning capabilities into the core of its products to make powerful analytics easier for everyone. 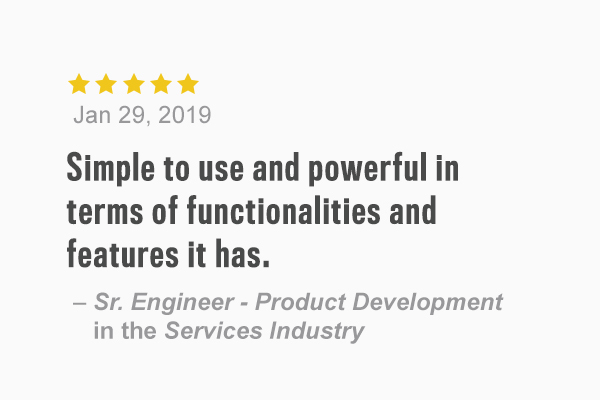 This includes smart recommendations for database joins and prep cleaning steps, drag-and-drop advanced analytics like clustering and forecasting, and natural language interaction that understands the user intent and the context of the data. Tableau has become the standard language of analytics for business users and analytics professionals—recognized by Forbes as one of the fastest-growing technical skills and one of the most valuable for higher compensation in data science professions. 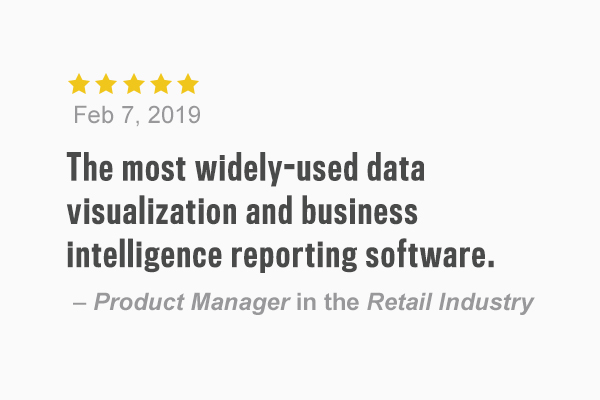 From the individual analyst to your entire organization, Tableau offers superior value with powerful analytics and industry-leading educational resources for all skill levels, allowing customers to scale their deployments at a lower total cost of ownership. Tableau Creator, Explorer, and Viewer subscriptions help make sure customers have the right capability at the right price for everyone using Tableau. Casual data users have a clear path to move to more feature-rich offerings as their skills grow. And Tableau helps people learn and develop their data skills fast, elevating their decision-making and unleashing their creativity with data to increase their value to the organization. Data-driven decision-making saves organizations money, leading to real, recognizable revenue, and increases the probability that future investments will be successful. 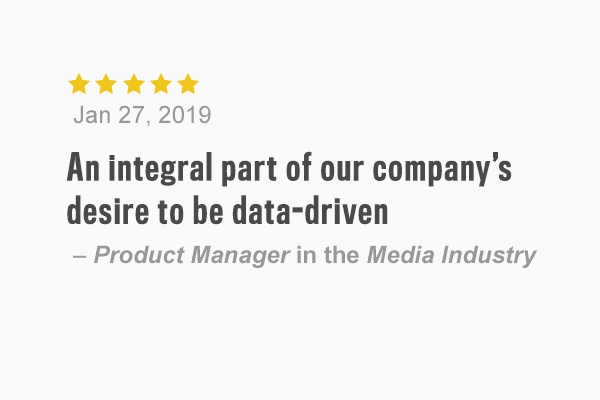 Tableau not only offers a complete, integrated platform without hidden costs, but also the enablement resources to scale a data-driven culture that drives value through real business outcomes. Choice and flexibility are Tableau philosophies, allowing customers to get the most value from their technology investments. Deploy Tableau on Linux or Windows, on-premises, in the public cloud, or fully hosted SaaS, even embedded in web portals and applications. Tableau doesn’t require customers to license and connect a stack of products or disconnected tools to get the full value of a modern analytics solution. Through its community forums, 500 worldwide user groups, and events like the annual Tableau Conference, more than 1 million passionate, diverse, and engaged users provide one another valuable support to grow, succeed, and celebrate data. Such a community, unlike any other in enterprise software, helps to speed up time to market and ensure lasting engagement. The community is also a force for doing good with data. More than 12,000 new visualizations are shared with the world by nonprofits, journalists, bloggers, political enthusiasts, and more through Tableau Public, which totaled more than 1.5 billion views last year. Through a partnership with PATH, Tableau and its community have helped drive a 90% reduction in malaria-related deaths in southern Zambia. And Tableau Foundation committed to giving $100 million in software, training, and grants between now and 2025 to support nonprofits using data to move the needle on complex issues—from disease research and patient care to education and government spending. Gartner does not endorse any vendor, product or service depicted in its research publications, and does not advise technology users to select only those vendors with the highest ratings or other designation. Gartner research publications consist of the opinions of Gartner's research organization and should not be construed as statements of fact. Gartner disclaims all warranties, expressed or implied, with respect to this research, including any warranties of merchantability or fitness for a particular purpose. Gartner Peer Insights reviews constitute the subjective opinions of individual end-users based on their own experiences, and do not represent the views of Gartner or its affiliates. The Gartner Peer Insights Logo is a trademark and service mark of Gartner, Inc., and/or its affiliates, and is used herein with permission. All rights reserved.